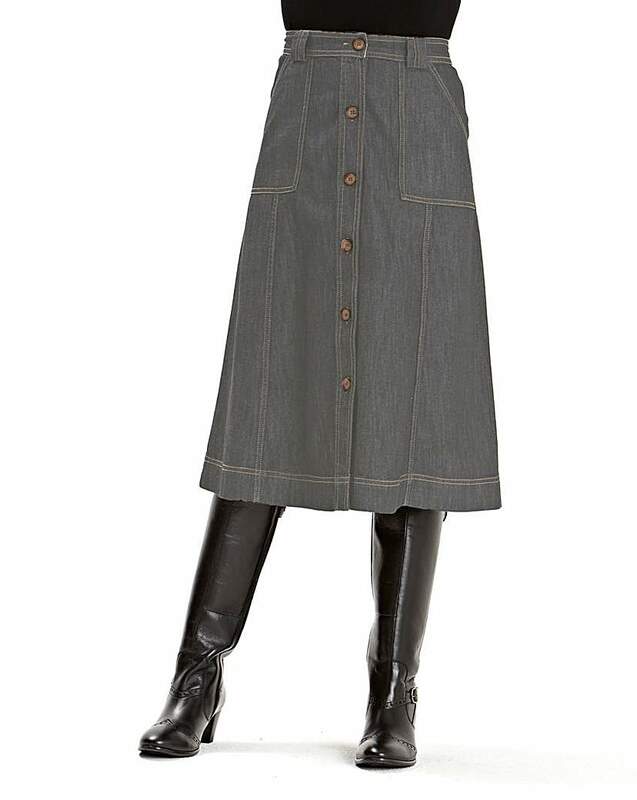 Button-through flared skirt in a soft denim fabric. Side-back elastication for comfort and fit. Patch pockets at front and back. Top-stitched seam detail. 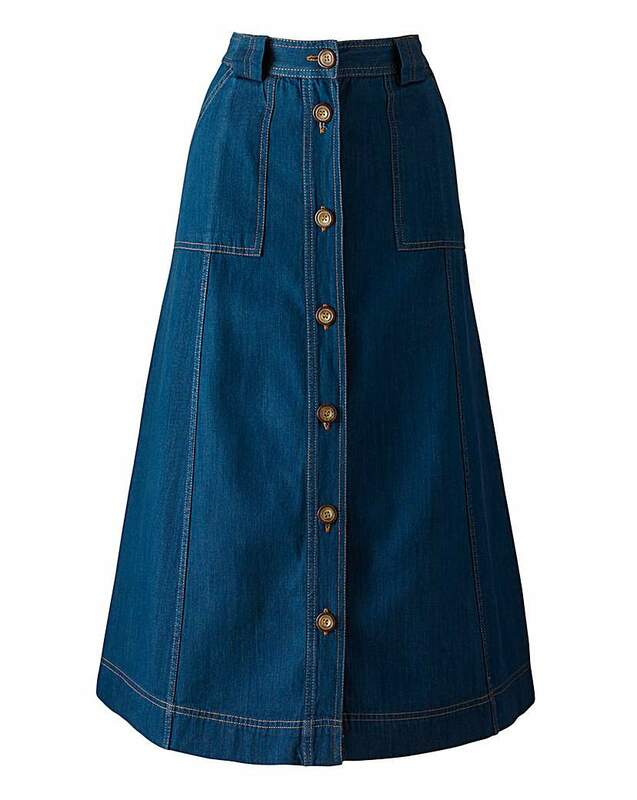 Button-through flared skirt in a soft denim fabric. 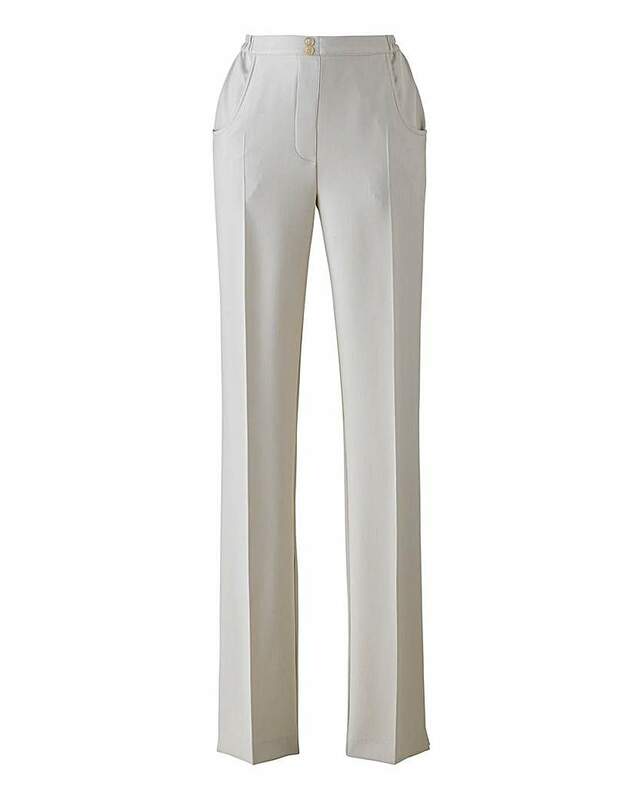 With side-back elastication for comfort and fit. Patch pockets at front and back. 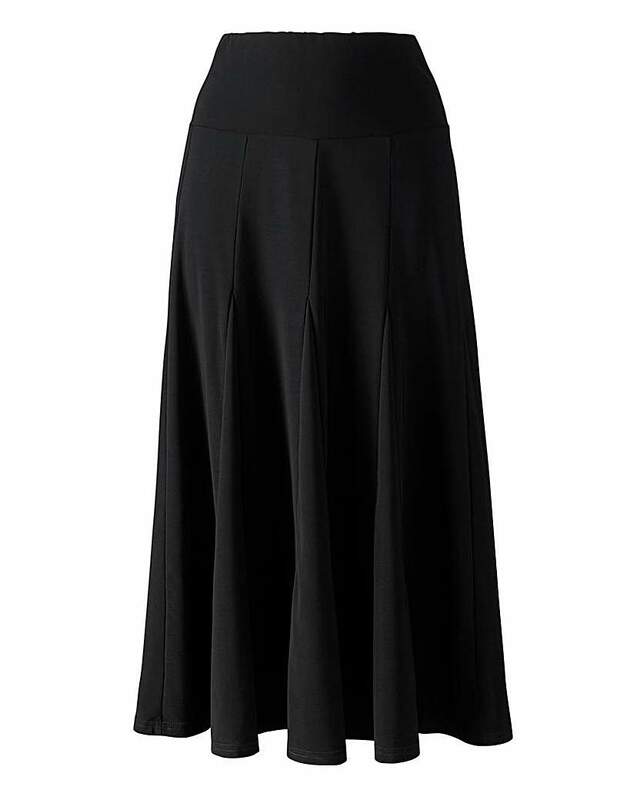 Top-stitched seam detail. 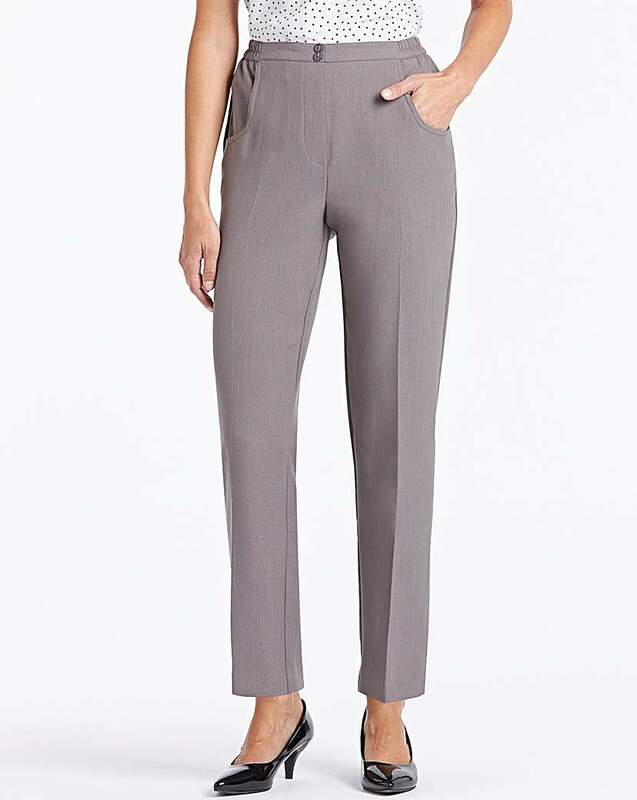 Smart pull-on trousers in straight-leg shape with slits to hem. 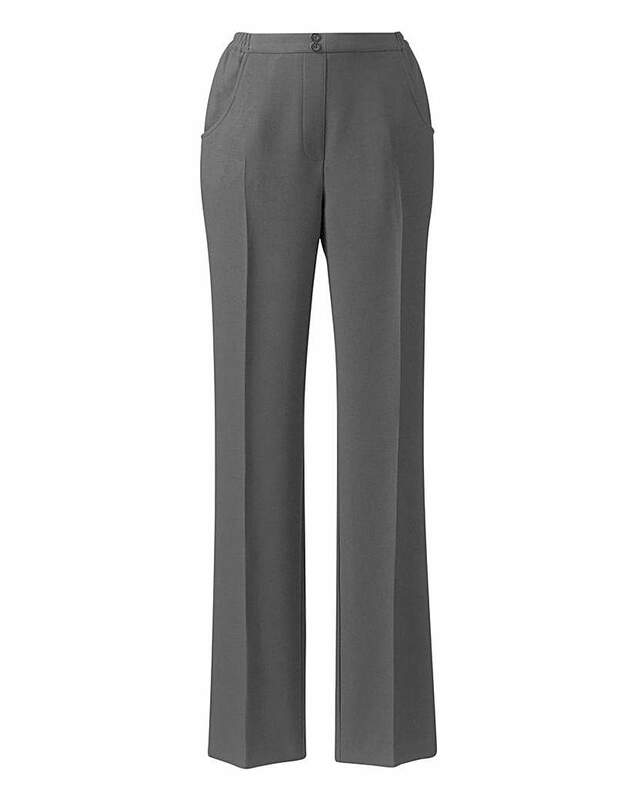 Full back elastication, front scooped pockets and button detail on the waistband.